How do I run subtitles in videos? AnonD-57380, 01 Jun 2013u can play songs directly on your phone which are either downloaded from internet or sent via ... morethanks a lot, I am waiting for the full change log of wp8.1 this month, it will decide whether I should buy 820 or 720..
Guys my 820 have a bug in camera flash that it keep flashing even when i take photos by keep flash mode off. I dono how to fix it. Could anyone please help..
Anoop, 01 Jun 2013Does Lumia 820 support all video formats? like avi, flv, mkv etc...Its not supports mkv file format.avi and mp4 files also supported and its sapport full hd videos (1080ps). 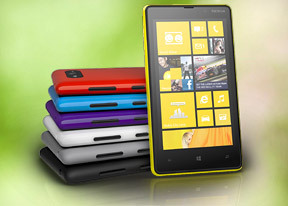 How can I transfer a pre-downloaded app from a pc or another phone to lumia 820? Didn't work the first time I tried it... Someone pls help. Pls so one help.. My Lumia 520 cannot connect to Zune on PC. I can't even install applications I downloaded with my PC to this phone, can't even view a pdf file.... Always telling me I need an application to do this that I should search the App Store. Must I download directly with the phone before apps can work? Does it mean it can't play .avi files? How can I connect to Zune with it on a PC? Finally, how can I transfer an app I pre-downloaded to the phone to enable it install? Or must I always download directly with the phone before apps can work? Someone pls help cause its frustrating! AnonD-44163, 01 Jun 2013do wp8 devices play mp3 files from any website? Also if I send songs through bluetooth must ... moreu can play songs directly on your phone which are either downloaded from internet or sent via bluetooth. there is no need of pc to play songs. uc browser can be used to download songs or anything. do wp8 devices play mp3 files from any website? Also if I send songs through bluetooth must I use a computer to make them appear in the player? Lastly I hear that when you download files you can only access them from the app you used to download them, is it true? ilu_dev, 30 May 2013hey,, cn sm1 tell which os z bttr?? 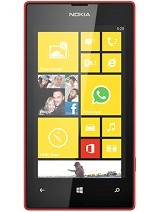 windows8 or android.. m cnfused betn lumia 820 galaxy and ... moreS2 is +2 year old model, L820 is actual model. N8 is great but rather I have bought L820. 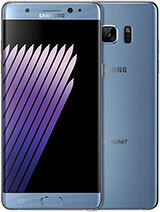 go for s2 ,windows is also good but android is awesome. it says, "the update couldn't be downloaded. (801882d1)"